Sold before it officially hit our inventory, this revitalized early 70's ride was custom-built for weekends in Lake Tahoe, California. 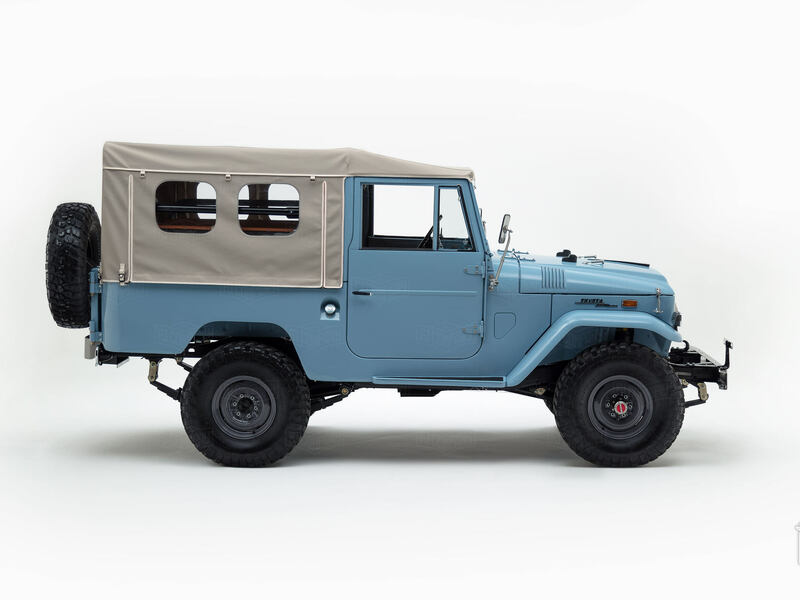 This FJ43 is far out, cool, funkadelic - everything you ever loved about the 70s including that old-school 1971 steel armor, which has been perfected and repainted with a fresh coat of Capri Blue (T310) paint. Here, you’ll find metal mirrors, a custom soft top, and classic turn signals - features that hail from the era when everything was alright, alright, alright. Under the hood, you’ll find a restored F engine and 4-speed manual transmission. This classic combination delivers incredible torque at lower RPMs - perfect for a weekend light off-roading. To keep things comfortable and versatile, we added a modern suspension system, power steering, and a set of heavy-duty wheels and tires. Open the door and you’ll see a retro-style dash with restored knobs and gauges, seats trimmed in Saddle vinyl, and plenty of exposed metal. Modern features like Vintage Air A/C and a RetroSound receiver were made to blend in and stay true to this FJ43’s cool vintage vibe.